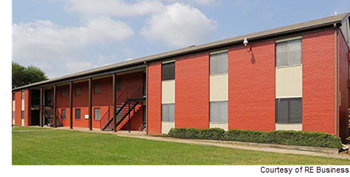 ​​​​ WACO – Arlington Farms, a 168-unit multifamily community, has a new owner. The apartment is located at 1800 Primrose Dr. and sits on 15 acres which was included in the sale. Amenities include a pool, basketball court, tennis court and on-site laundry facilities. The property was purchased by TTHFD Investments LLC.